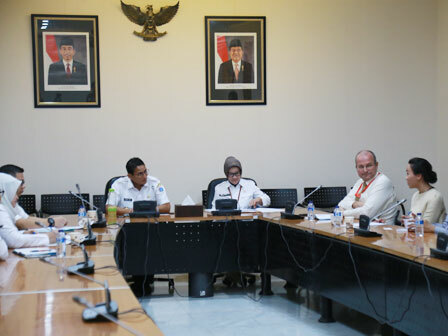 " The cooperation between Jakarta and Rotterdam is very good to be improved, as it can increase knowledge and skill"
In the meeting, Sandi and Nuffic Neso Indonesia representatives discussed the development of Rotterdam-Jakarta's Dutch Training and Exposure Program (DUTEP) program. "The cooperation between Jakarta and Rotterdam is very good to be improved, as it can increase knowledge and skill," he expressed. Through DUTEP program, he added, Jakarta Provincial Government would send 10 civil servants from SKPD for internships to learn about handling and water management in Rotterdam City. Hopefully the knowledge gained from Rotterdam City could be applied for water treatment in Jakarta. "Through this cooperation, 10 civil servants who will be sent can learn about water management as well as possible there," he stated.